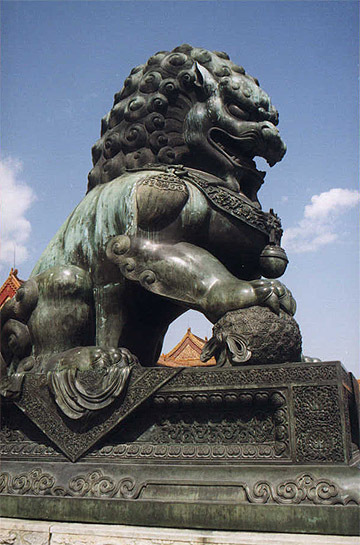 The Hall of Supreme Harmony is guarded by a pair of bronze lions, a symbol of power and dignity. The one playing with a ball is male. The ball is said to represent state unity. The other is a female. Underneath one of its fore claws is a cub that is considered a symbol of perpetual imperial succession.